Effects - Books - Etc. Like Brand New - Never Used - Instantly divine a name, number, word, or drawing. Hand the spectator a notepad and ask them to write down a name, number - anything. They tear the page out and keep it forever. You never go near it. No matter what - you're still able to instantly divine exactly what they're thinking of. An easy-to-use, pocket sized device with endless possibilities. There's no sleight of hand, funny movements, or guesswork. ParaPad is a diabolical notebook that does the hard work for you - empowering you to create limitless routines that are FUN to perform, with wicked reactions. ParaPad isn't the first impression pad on the market - but it is, without exception, the absolute BEST. This is the Rolls-Royce of mentalism. 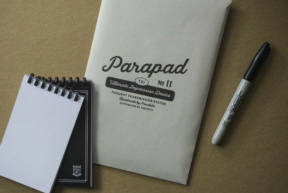 ParaPad includes the ingenious special notepad, a duplicate non-gimmicked notepad, sharpie, and reloadable paper. The gimmick can be reset in seconds, and the paper is reloadable. Complete with a custom designed /printed book & instructional DVD which will get you using the Oasis book test in minutes!! The Oasis book test makes a great standalone mental effect or can be a feature part of a larger mindreading routine. The Oasis is a custom designed and printed book with over 300 pages for your spectators to choose from. Phase One - Hand your spectator a book and get someone to name a random page number. Your spectator opens the book to that page and is directed to think of either the first or last word on the top line. They visualise the word as an image and you start describing the image & word they are thinking of. Phase two - Another spectator opens the book to any page and chooses a word from the middle. Once again you read their mind with deadly accuracy!! The Oasis Book test takes a few minutes to learn and is as direct as a bullet from a gun! Condition Very Good, used for a very limited run during 5 days and not used since. Set consists of: Cesaral slim display - Stamp reader & ink pad (text Top Secret) Separate slimline reader - Battery tester - All cables - 5 extra chips - 2 decks (red bikes; one split, one PVC) - Custom 6 cards stand made by Eric Samuels (slimline reader fits inside) - Located in Finland. Four Told Regular size and instructions - Performer shows a chart consisting of five colored ESP symbols. He invites four people to participate. Each participant is asked to just think of an ESP symbol shown on the chart. The participants write nothing down, they just think of a symbol. There are no restrictions. Each person could be thinking of a different symbol, or they all could be thinking of the same symbol. They do not share their thoughts with each other. The performer begins to get impressions and calls out three symbols. He says, "If I have called out the symbol you are thinking of, please close your eyes and draw the symbol in your mind." The performer then tells the participants to open their eyes and clear their minds. He then asks them to concentrate on the colors of their symbols. The performer then begins to call out colors he is getting strong impressions of. He says, "If I have called out the color you are thinking of, please close your eyes and visualize it in your mind." The performer does not ask any questions. The participants say nothing; they just close their eyes and think. The performer takes an ESP deck and hands each participant a face-down card. Only after each person is given a face-down card does the performer ask the participants to reveal their thought-of symbols. Amazingly, when the face-down ESP cards are shown, they match each participant's thought-of symbol. For a stunning climax, the performer points to several people in the audience and asks if they were also thinking of a symbol. With no questions or fishing, the performer then reveals the symbols just thought of by members of the audience. All this is done without any pre-show work of any kind! Also Includes Four Told Jumbo Card 11.5 x 14. This is a larger 11.5 x 14 inch version of the plastic chart that comes with the smaller version of Four Told. This card is designed to be seen from the largest stages. It is especially useful when doing the routine where audiences members are asked to think of symbols as the chart is easily seen by the audience. The chart is the same high quality as the smaller chart and was designed with the professional in mind. People who have witnessed this stunt can recall it many years later. How many card or coin tricks fall into this category? How many stage illusions are this memorable? The plot, like most good magic, is uncomplicated as an ordinary glass jar is filled to the brim with ordinary rice. A chopstick (or wooden letter opener) is inserted a few inches into the vessel, and when the chopstick is lifted, the heavy rice-filled vessel is suspended. How can this be? If top pros use a diary trick and extol its virtues, then shouldn't you you be using it, too? The Gordon Diary Trick is a powerful and portable mentalism miracle, and better yet, this self-contained package doesn't require any memory work! The spectator shuffles a deck and names a calendar date. He then cuts the cards. When he looks up his date in a special diary, under that date is the name of the cut-to card. It's just that simple, but oh so powerful. Order your copy today! ALPHA BAG - Any magician or mentalist using a force bag knows the value and power this utility prop offers. With the completely see-through Alpha Force Bag you're guaranteed easy, sure-fire operation, deceptiveness and accuracy with any object you wish to force! Predict chosen newspaper headlines, lottery numbers, selected cards, even which key will open a lock! And you never have to touch anything--the bag does all the work for you! 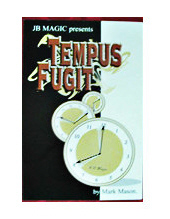 A must for any performing magician or mentalist, from children's entertainer to the serious mentalist. Magician holds a dry erasable board with 16 squares printed on it (12"x17"). Audience chose a number. Magician fills board with random numbers. Over 24 combinations to match selected number. Great for stage, cabaret, mentalism, school shows etc. Very light double side erasable board. 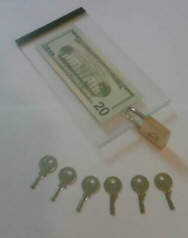 KEY ROULETTE - A bill is secured in a plastic frame and a padlock is snapped shut through the frame. 6 keys are shown to the spectators. The magician demonstrates that one of the keys can open the padlock and he mixes it with all the other keys. Five volunteers are given a free choice of key leaving one key to the magician. They are told that if their key will open the lock they will win a prize. Before each volunteer opens the lock, he gets an option to change his key with the magicians key. Each one of the volunteers tries his key to open the lock but only the last key that is left to the magician opens the lock, leaving the prize with the magician! No force of any kind, the magician wins with the last key. great effect at any show: children, adults and trade shows. Frame will hold most sizes of bills and can be used as well for show tickets, fly tickets or any other flat objects. A Book Test Trick by Mark Shortland - Mark Shortland is one of the busiest pros working cruises and events in the UK. For years he has used this routine and we've seen it go over EXTREMELY WELL for audiences huge and small. The Gallows Book Test by Mark Shortland is a comedy book test based around the classic word game "Hangman", and building a full sized gallows on stage! The performer tries to guess the chosen word by playing the classic game of hangman, except rather than drawing the gallows, a ten foot gallows is assembled as letters are incorrectly guessed. Tension is built to a crescendo as the performer finds himself stood on a chair with their neck in a fully constructed set of gallows and no more guesses available. 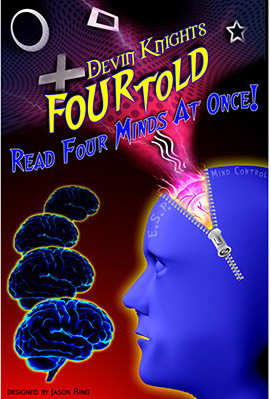 ONE OF THE WORLD'S MOST INGENIOUS MIND-READING SECRETS PERFECTED! Based on Marc Salem's BROTHER OF ALL DUPLICATIONS PRINCIPLE. You instantly know what she secretly wrote on a blank business card...while the face-down card is covered by her hand -- or a bunch of hands -- or even a book! THE PERFECT PROPS - THE PERFECT PRESENTATION - THE PERFECT SECRET - THE PERFECT EVERYTHING! YOU NEVER HAVE TO TOUCH OR EVEN SEE THE CARD...YET YOU ALWAYS KNOW EXACTLY WHAT SHE HAS DRAWN! You can even turn your back while the spectator writes her secret word and covers it with her hand (and whatever else she wants to cover it with). You can even have a spectator cover your eyes with her hands. 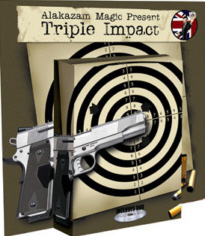 Triple Impact will totally blow your spectators away with an impossible triple prediction that is soooo clean your spectators will question their own free will! Imagine the following. A spectator cleanly selects 3 cards from a red deck and places them in to 3 separate pockets of his choice. With no fishing or funny moves the magician/mind reading guru reaches into his top pocket and removes a blue backed prediction card, your spectator removes the red back card, which he freely placed in to his top pocket, and they match! (same card, same pocket). The magician now removes a card from his right hand pocket, the spectator does the same and they match (same card, same pocket, and remember the magician removes his prediction first so it is in full view). The tension is building as the magician reaches in to his left hand pocket and removes a card the card is shown and yes it matches the spectator's card (once again same card, same pocket). Your audience will truly believe that the future is in your control. This is a self-working masterpiece in mental magic. * No Sleight Of Hand. * Easy To Do. * Only one prediction card is in cach pocket. Your pockets may be freely shown empty after each prediction card is removed. * Nothing added or taken away from the pockets or the deck at any time. * No Palming. * No Rough and Smooth. * The Predictions are in your pocket before you start. * Easily reset and extremely practical. The magician displays three brass keys to the audience and hands them out for examination. One of the keys is selected and handed back to the magician. He holds the key by its crown end between the thumb and index finger of one hand and begins to rub it between his fingers. Slowly, the shaft of the key visibly begins to melt and bend downward! The shaft is not pushed down with another finger-it visibly bends down on its own while the back is held between the thumb and index finger. Alan Rorrison's latest masterpiece, EVP, allows you to seemingly harvest voices from the other side and make them answer the questions of your spectator ON THEIR PHONE. Your shell-shocked spectator will leave the encounter with the likely evidence of a spirit's voice on their phone, as they replay it over and over, in utter disbelief. (This version is for magicians who already own a Micro 5 PK Prop.) This item contains 4 complete effects, plus a bonus routine. Includes all items needed to perform each of the 4 main effects. Effect #1 - Rising Pencil. Place an examined pencil on your hand and it slowly rises! A classic effect with a different method. No poking your hand. Pencil can be examined before and immediately after. Nothing added or taken away. Spectator can pick pencil off your hand! Also perform this effect in a spectator's hand! Perform seated at a table or standing/walk around when using a spectator's hand. Effect #2 - Floating Pencil. A pencil and test tube are examined. A spectator can drop the pencil into the test tube and seal with a cap. The performer holds the tube and concentrates and slowly the pencil begins to float up in the tube! Yes, it actually floats! Remove the cap and the pencil floats up, above the top of the tube! No threads or attachments of any kind. Pencil and test tube can be examined before and after! Spectator can actually place the pencil into the tube and remove it! Also perform this effect in a spectator's hand! The performer holds the test tube and places the bottom of the tube against the spectator's hand. Both concentrate and the pencil floats up in the tube. Perform seated at a table or standing/walk around when using a spectator's hand. Effect #3 - Seance Pencil. A silk and pencil are examined. A spectator signs a blank card, which is put under the silk, along with the pencil. A spirit is called. When it arrives, it lifts the pencil and begins to write - the silk actually rises and moves as the pencil writes! When the silk is opened, the signed card is found to have a message written upon it. Again, all can be examined. Great for seance and spooky magic! Effect #4 - Psychometry Pencils. Six different colored pencils and six envelopes are examined. A spectator picks one pencil and puts it in any envelope. The remaining 5 pencils are each put into a separate envelopes. All six envelopes are mixed, so no one, the performer or spectators, know which envelope contains the selected pencil (true!). The performer counts the envelopes into a row and a spectator selects one. This envelope is opened by the spectator, who discovers it contains her selected pencil. An alternate ending has the performer locating the correct pencil by sensing the energy that was placed on the selected pencil by the spectator. No sight clues! No marked envelopes. Everything is examinable before and after! The latter version can be performed at the table or standing/walk around. Any one can pass the postcards out randomly to any member of the audience. All of the postcards are in envelopes. You will be able to connect with one of your audience members and describe the very image they are looking at. It is of a fortune teller. 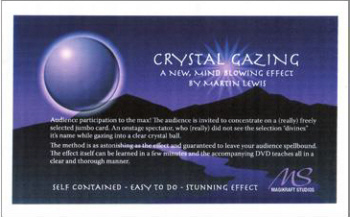 The audience is invited to concentrate on a freely selected jumbo card. A spectator is invited on stage who was not privvy to the selection, divines its name by gazing into a crystal ball. The apparatus is handcrafted to Martins strict specifications. MT52710 PROFESSIONAL CRYSTAL BALL - 4 INCH DIAMETER - These are the finest quality imported from Italy genuine crystal ball. The ball is sparkling clear - and heavy - weighs about 3 lbs. 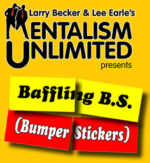 "The bumper sticker," begins the performer as he shows a selection of them - all of which are cut in half, "is a source of 5-Star wisdom often using four-letter words. They're a short form expression of attitude, philosophy, and humor. You can find them at truck stops, novelty shops, and bargain swaps. He shows the halves of two different bumper stickers saying, "If you cut them in half and mismatch them, the results can be interesting." (The audience will laugh at a couple of the combinations, we designed them for that purpose.) Placing a business envelope in full view, he continues, "There are halves of two different bumper suckers in here (they can be seen through the address window) that usually combine with others to get an amusing reaction." "One of you will choose another half from these," the performer continues, spreading the stack of severed stickers face up for a nearby participant. "As you can see, there are more than two dozen random possibilities. Which one would you like." After the helper freely chooses one of the halves the Mentalist instructs, "That was an intentional choice, influenced perhaps by color or subject matter. Next, you will select one unseen." He turns the stack of half-stickers face down and reminds, "Because it's selected blindly, and randomly, it will be a surprise for both of us" "I'll keep you in suspense a moment longer," remarks the performer, as he withdraws one of the sticker-halves from the envelope (with its back toward the audience) to align with the unseen sticker-half. "This combination doesn't work," the performer informs, tucking it back in the envelope and pulling out the other one inside. "Hopefully this combination will be better." You wrap the deck in rubber bands and throw it out to a person in the audience. You instruct him to open the deck anywhere he likes and remember one of the cards. You instruct him to throw the deck to anybody in the audience. That person is instructed to do the same thing. This is done to five different persons. You ask the people to stand. You proceed to name each person's card and the people who heard their card named will sit down. As a climax you will still have one person standing, and he will say that you have not yet named his card. You name his card out loud, and you will get a standing ovation. Comes complete with gimmicked Bicycle Deck and the instruction. Effect - A spectator selects a random Sudoku puzzle and copies it onto a large blank grid so that everyone can see the puzzle. The magician studies the grid for a few seconds and then turns his back to the puzzle. The magician then begins to instantly call out numbers to the spectator and the entire Sudoku puzzle is completed ¡&REG;blind¡&hibar; by the magician. As an extra challenge, the spectator can even be instructed to lie and miswrite the puzzle on the grid at the beginning of the routine ¨C not only will the magician be able to tell which digits are incorrect ¨C but also what they should be!!! 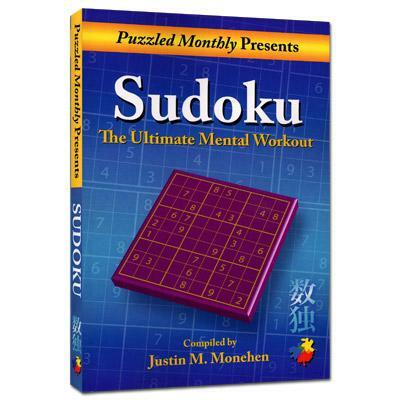 Remember: Spectator genuinely has a free choice of any Sudoku puzzle and every puzzle can clearly be seen to be completely different. The magician instantly calls out ¡&REG;correct¡&hibar; answers to the puzzle. No ¡&REG;fishing¡&hibar; or ¡&REG;outs¡&hibar; required. No mathematics or memory skill required to perform the trick. The secret is completely self-working leaving the magician fully focused on presentation. Packs small and plays big! ¨C A complete 10 minute stage routine with drama, suspense, intrigue, and what appears to be great skill, and all with this paperback book that fits in your pocket! 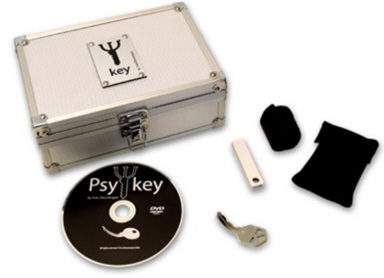 Psy Key is the latest product developed by Yves Doumergue. This is a new milestone in metal bending magic. Effect: You borrow a few keys. One is selected by a spectator. Mysteriously under impossible conditions, it bends itself in his hands. Once bent, he can't bend it back. Then, you take it with just your fingertips: the key straightens in full view! You immediately hand it back to its owner. Psy Key looks and feels like a standard key but is indeed very special. Once you touch it, your body heat makes it bend. You'll either be able to add it secretly to a bunch of borrowed key or switch it with a very common, similar type of key. 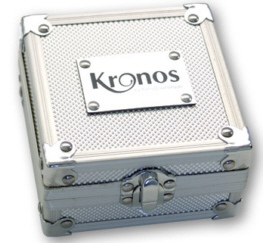 Comes in an aluminum case with all the tools needed to perform this amazing effect and an instructional mini dvd. No freeze spray included because of shipping regulations. Just buy it locally. Having an amazing effects on the watches of your audience, this new release will make it easy to visibly affect the hand of the watch. It can speed it up or even stop it& Comes complete with gimmick and instructional mini-DVD all contained in aluminum case. 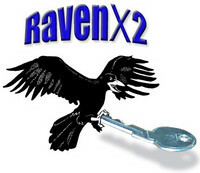 The new two headed Raven (RX2) can quickly, smoothly, and visually switch one solid object for another, in addition to doing everything a Raven can do. The new RX2 expands your horizons and opens new doors! And bends the keys that opens those doors! Effect Examples: RX2 Key Bender A normal key is examined and spectators are invited to try and bend it. They cannot. A spectator places the key on the palm-up hand of the performer. The performer shows the front and back of his other hand, then gently slides it over the key, gives it a slow rub, then moves the hand away and the key is bent. And you are clean. (Included with the RX2 package). If you are looking for a great stage or stand up routine that will play big, this is the one for you! Talking about how a person's name is inseparable, the performer distributes 5 large white cards to five spectators asking them to examine the cards. Performer can be blindfolded for this matter, or stand away. Each of the volunteers is asked to write his name on his card. The five spectators choose any one of 5 identical envelopes and each puts their card inside an envelope. One of the spectators collects the envelopes and is asked to shuffle and spread them on the table in random order. Performer, comes back still blindfolded (if wishes), goes to table, lifts envelopes and giving them one by one - back to the spectators. When the envelopes are opened each of the spectators find his name on the card he holds.Resets in seconds, works 100% every time, can use also drawings, numbers or any other information you wish. 4 envelopes numbered 1 to 4 are placed on a wooden tray. 3 spectators are invited to each select an envelope. Performers always has envelope with the bill in it. Hands free alternative to the classic Bank-night routine tray does all the work for you. Very easy to do. Wooden box is shown, On top of the box are three brightly colored crocheted balls. One red, one yellow and one blue. While your back is turned, a spectator selects one of the three balls. Free choice, no force. The ball is shown around and placed back on the box. The balls are next dropped into the spectator's hands. You open the box, and the spectator drops the balls into three holes in the box. The balls are dropped into the box in any order, and they are visible even as the lid is replaced on the box. Hand the box to the spectator to hold. Explain that you have a prediction in your pocket. Reach in and remove it. Ask the spectator to name their selected color. They do. Open your hand and show a ball the same color as the one they freely selected. Miracle number one. Now ask the spectator to open the box. They remove the lid, and there is one ball missing. A spectator shuffles the deck then chooses a card. Without hesitation you divine the chosen card. This is the most clever marking system on the market. Card can even be seen from a distance. There are many more applications and effects possible, depending on how much imagination you have& FREE SHIPPING. Magician holds a dry erasable board with 16 squares printed on it (12"x17"). Audience choose a number. Magician fills board with random numbers. Over 24 combinations to match selected number. 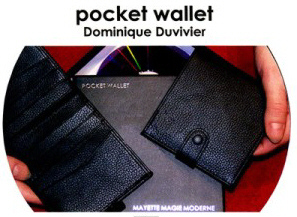 Great for stage, cabaret, mentalism, school shows etc. Very light double side erasable board. No - Instructions - A clear small plastic box that can AUTOMATICALLY switch any small paper! Endless choices of effects can be done with this box. For example: you ask for paper money from a spectator (let's say a $20 bill), you tell him to fold it and place into the small clear box for safe keeping. MT50706 BUT NOT HERE - WITH GIMMICKED BICYCLE DECK - A thought of card is predicted under the fairest and most impossible conditions...with a diabolical ending no one sees coming! Mark Elsdon's BUT NOT HERE is an amazing effect that wows lay audiences and fools the pants off magicians. It's clean, direct, and very strong. Best of all, it's easy to do and can be mastered by magicians of any skill level. Remember these important points: The spectator mentally selects a card - and they can change their mind as much as they wish!The prediction can be customized to include the specific event or occasion you are performing at! Ultra easy to do, uses no sleight of hand or complicated moves. 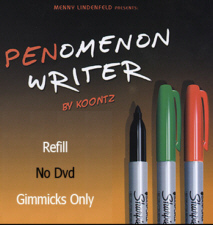 PENomenon Writer is a revolutionary new nail writer device that was invented and perfected for every-day situations. It gives the performer the ability to make visible live predictions appear on any surface, paper, wood, concrete-floor, glass, or mirrors and even on beer bottles and soda cans. Use it for TV, on the streets, in trade-shows to promote products, or in live performances for audiences of 10 or 1000, with PENomenon Writer your predictions will always be clearly visible, even from a distance. It looks like you wrote it with a Sharpie. You will never use other principles again! This is the gimmick with the instruction in Black (DVD is not included). MT49393 ASH FELT - You talk about the power of the flames and how images can sometimes materialize from the ashes, how the images can become really strong and powerful. Is it our minds? Or maybe our imagination? What is real and what is not? 1930's Spirit Bell (clockwork) German made in excellent full working condition. In original box. Sold by Tannens NY with photocopied instructions. Collectors item. the glass is a replacement. A pocket size approach to Astor's best selling stage version... Four transparent envelopes, one of which contains a bill, and each of the other three has only a small white piece of paper inside. Three spectators choose three of the four envelopes. A clear small plastic box that can switch automatically any small paper (memo papers, Money etc...) Endless choices of effects can be done with this box, for example: You borrow a bill from a spectator (let's say $20) you ask him to fold it and place into the small clear box for safe keeping! The box is then hanged on his neck for best view. You then write on a piece of paper some numbers. You ask the spectator to take out the money from the box and to read the serial numbers of his bill; the numbers are matches your written prediction! 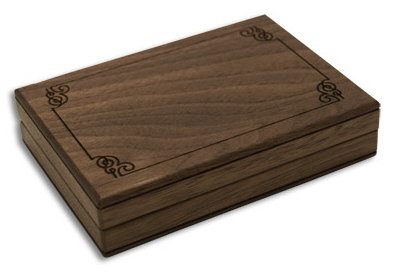 Create almost any mind reading effect from this box! Performer displays three envelopes - one red, one green, and one yellow. Two spectators, a man, and a woman, are invited to each select an envelope. The choice is fair, but the performer insists he has predicted the spectators actions. We'll assume the man chooses the red, the woman the yellow. Each is asked to open their chosen envelope, remove the papers within, and read out loud the message thereon. Good magic and very original - No handling required for this miracle. A versatile tool with endless possibilities. MT45315 123 - DECK - This is a Bridge size, Piatnik numbered deck from 1 to 52. The deck includes a 1-52 card and a Number card. This deck can be used for different mental or mathematical effects. GREAT FOR KIDS. Magician has the spectator choose a card from the deck, once done the magician turns over a prediction that has been sitting on the table the whole time. But the spectator cannot read it, the magician puts a lighter to the back of the paper and the prediction vanishes in front of their eye's leaving the name of the selected card. It can be done with cards, ESP symbols, coins, people's names, numbers as a mental effect. The possibilities are endless. Easy to do! 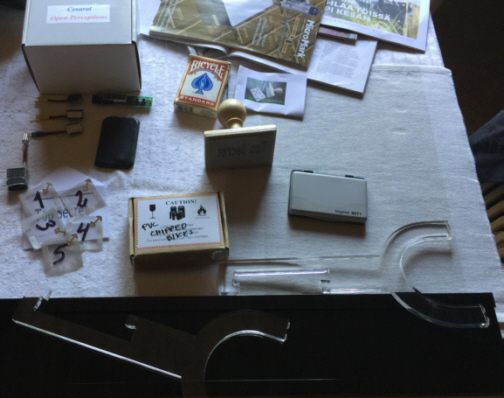 comes complete with instructions and gimmick, you supply your own lighter and cards. - ANY REGULAR DECK - NO RESET - ANY DATE, ANY CARD - ALWAYS THE RIGHT CARD - NO OUTS - DIARY & DECK CAN BE EXAMINED - LEARN IN 5 MINUTES. Also can be performed using any cellphone, i-phone or palm pilot. What is the Third Eye? 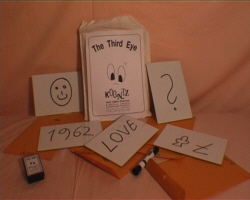 The Third Eye is an impromptu system for revealing a thought of image. It uses no gimmicks or prepared props. The only thing you'll need is a magazine. There's no preparation beforehand. Where can I use it? It works close-up one-on-one and it works on stage. It can even be performed over the phone. MT44287 GLIMPSE 20/20 - was originally released back in 2004 as a small manuscript. On this exclusive DVD running for over an hour Marc Spelmann will guide you through each stage of construction, giving hints and tips that didn't make it onto the original release due to space constraints. You'll also see Marc use Glimpse for various routines previously released, along with additional ideas and developements that have evolved since it's first release.